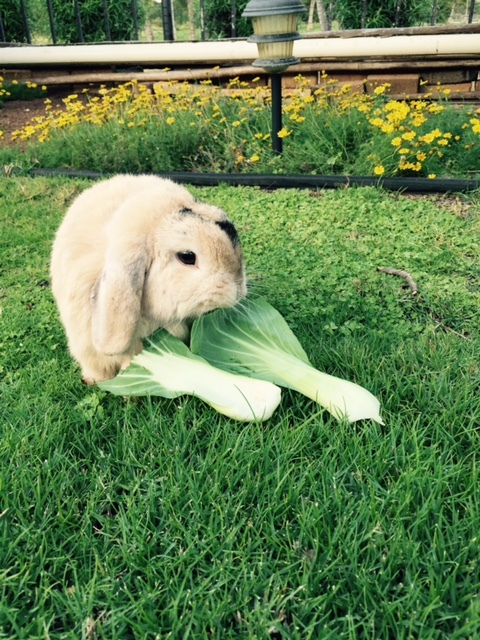 Flopise chomps down on pak choi leaves, one of his favorite vegetables. 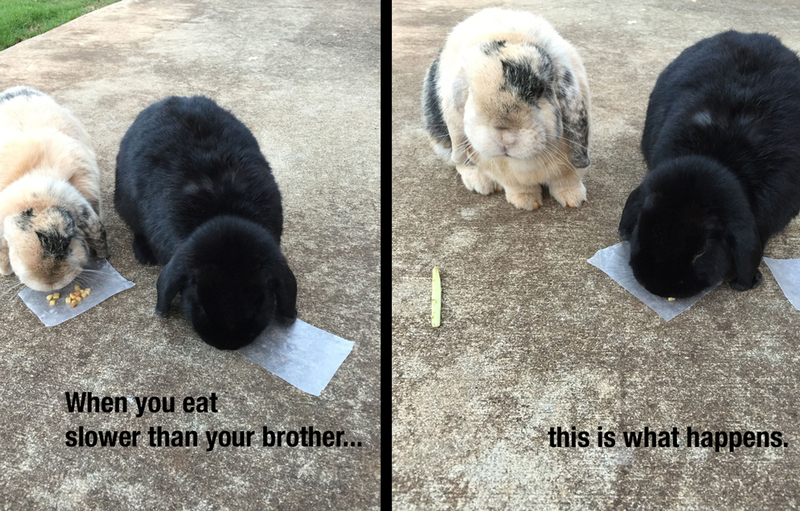 Flopsie gets a slow start on his evening apples, so Mopsie finishes his share first, then pushes Flopsie aside to eat his share TOO. 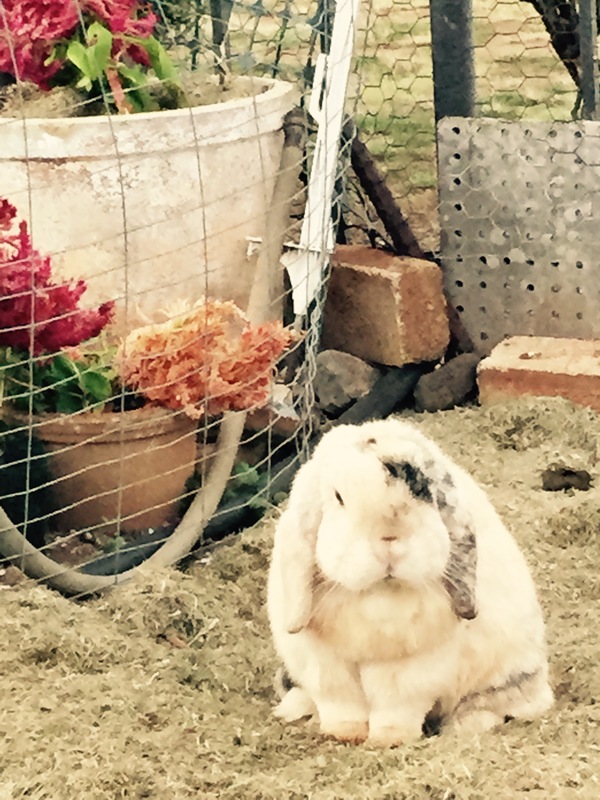 Flopsie puts on his sad face. Just JOKING—he doesn’t even know who was playing today!